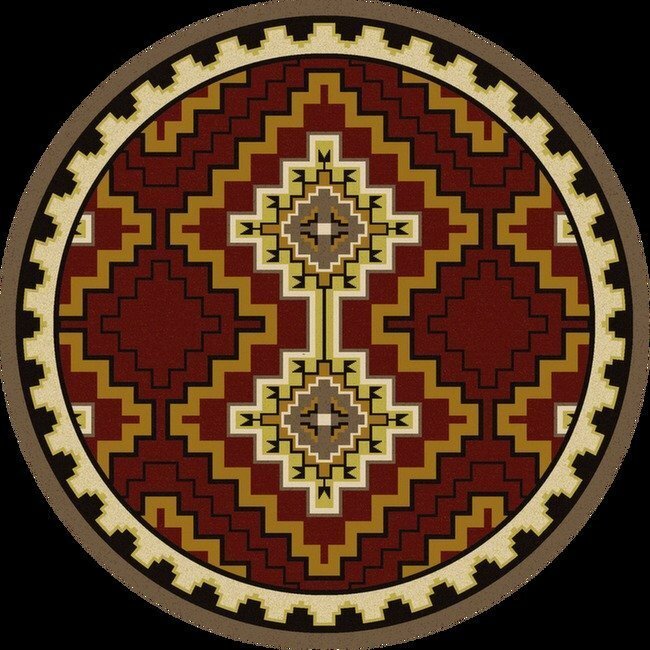 Council Fire Area Rug is part of the Voices series by American Dakota. 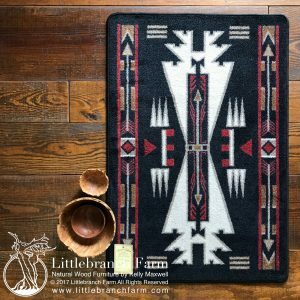 The Voices collection celebrates the First Americans with a series of Southwestern designs. 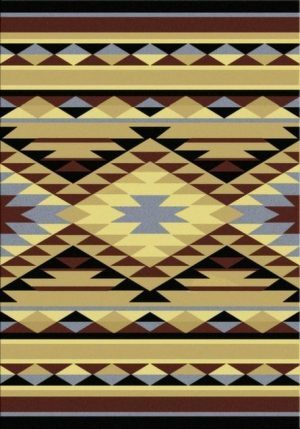 We offer more patterns from the Voices collection on this website. 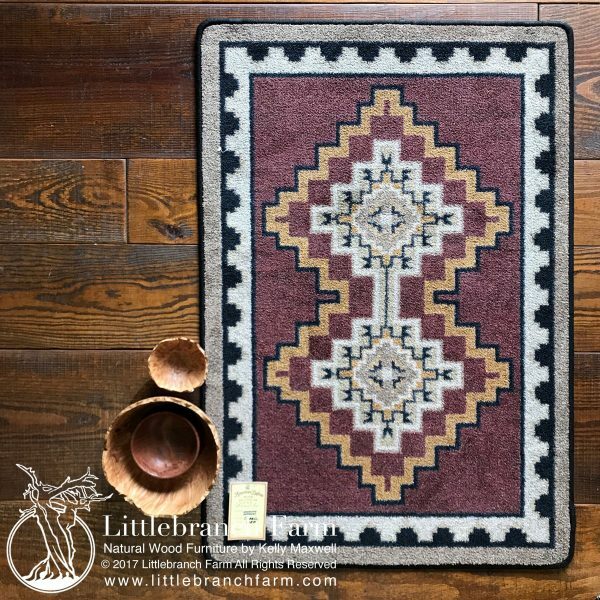 The rich reds and maroons in this rug will “warm” your home in no time. Council Fire area rug is a more traditional pattern that will fit with most existing decors. 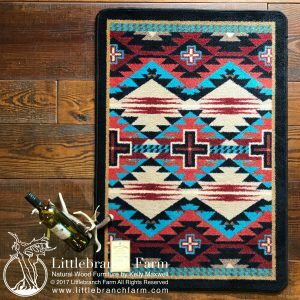 Southwestern textiles and natural wood furniture are a timeless combination. Together, their texture and colors create a welcoming space. 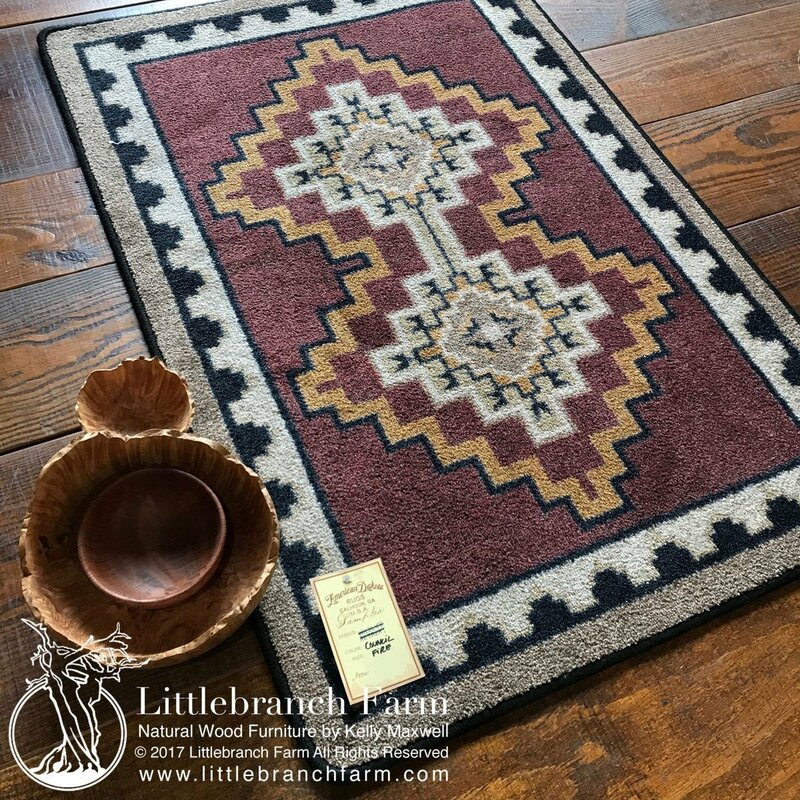 Off course, they are perfect with our custom furniture to create a one of a kind rustic home decor.